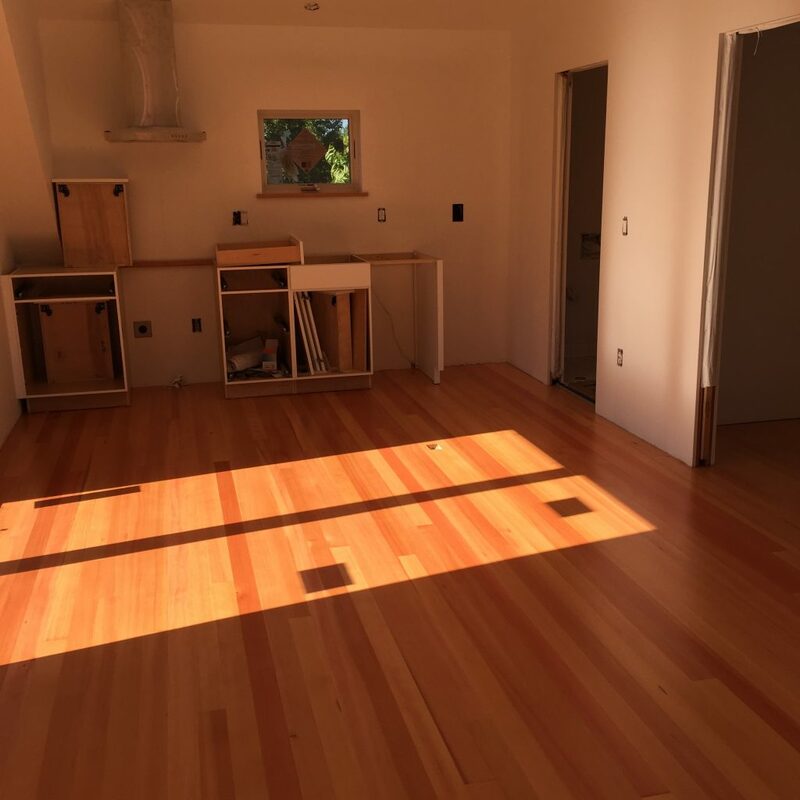 Continuing through the backlog of updates: Also completed by May 7th was the finishing of our fir floors – love the warm color of fir – and the installation of our stainless range hood! The last 18 days have been a whirlwind of Northberry Construction activity, will work through the backlog of updates in the coming days. 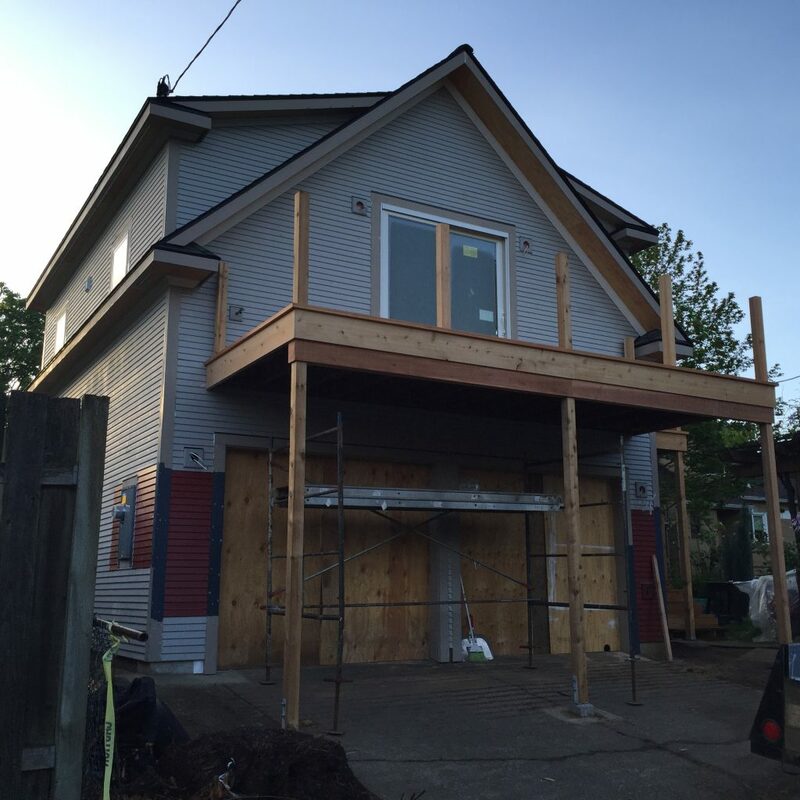 By May 7th, the deck and stair railings were complete… a bit safer that way and we have two brand new garage doors! We are in the final month of construction at Northberry. 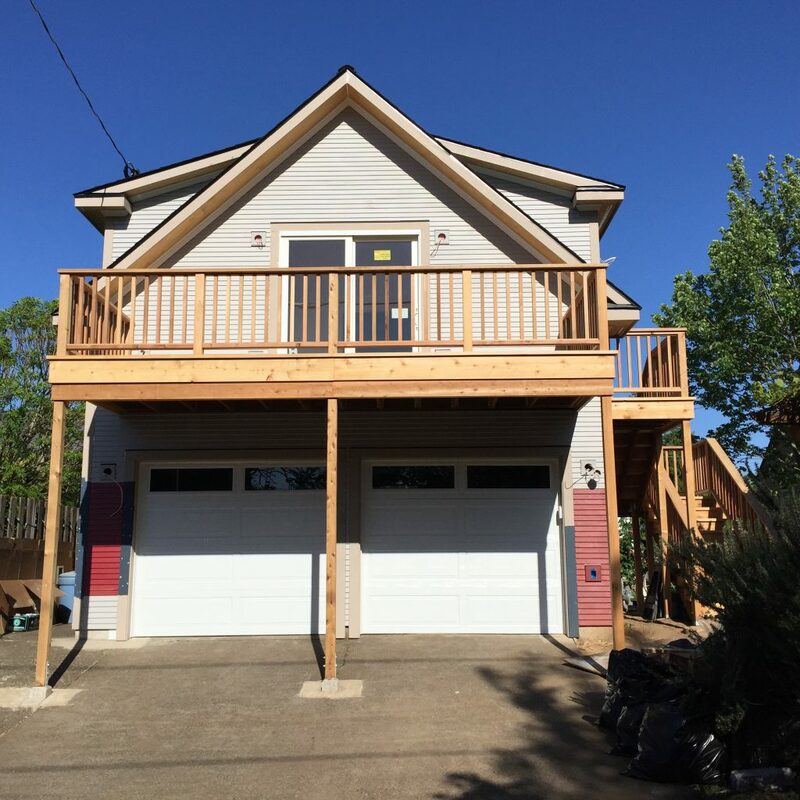 Mikey and Nick finished the last bit of exterior trim including the crown and have the balcony/decking complete – missing some safety features – but that will come this week. The smell of the cedar decking on these crisp clear spring mornings is sublime! 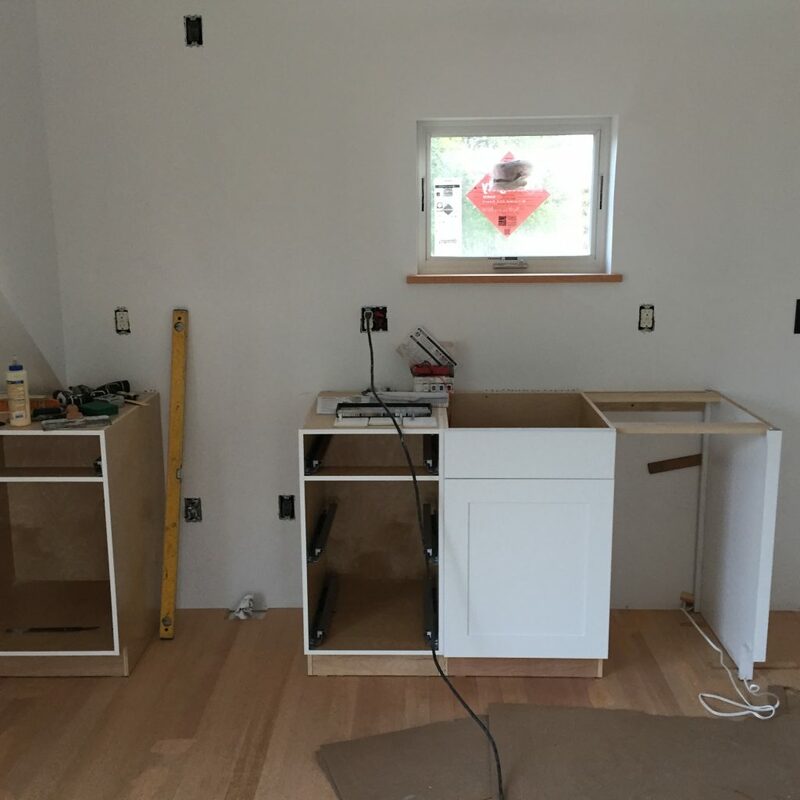 The Northberry kitchen is taking shape with the arrival of the cabinets. Notice also the fir window sill – we have opted for minimal interior trim for simple, clean lines to blend with some of the vintage and salvaged elements. 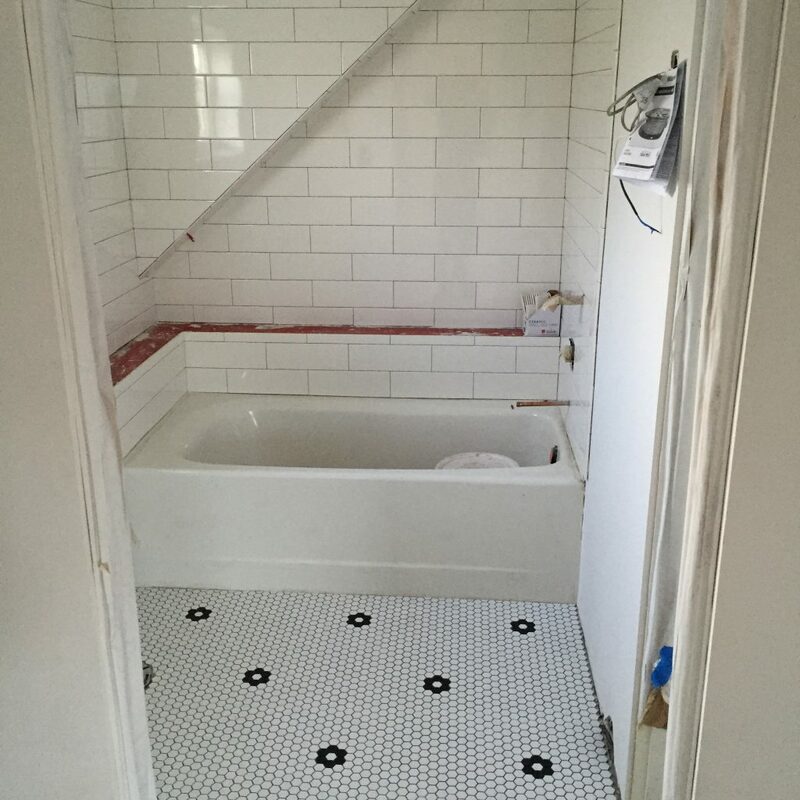 Finally, Ted and Gabe have been at it all week tiling the bathroom tub surround and floor. Tile flowerettes: they make me smile!